Cue the “Imperial March.” Darth Vader is coming to the Balloon Museum. 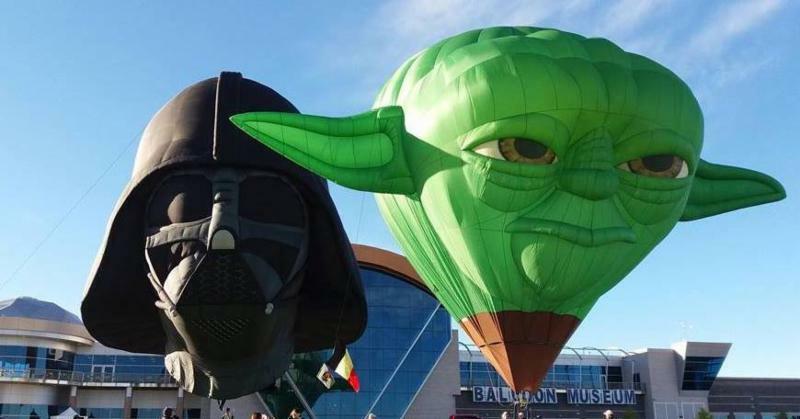 His darkness should not overshadow the fact that Master Yoda will be there, too, as the wildly popular duo of special shape hot air balloons return for a special inflation event on Friday, October 5, 8:00 to 11:00 a.m. (weather permitting). 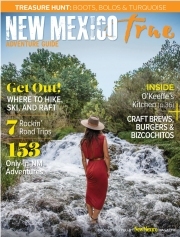 Explore the Balloon Museum’s exhibitions. Visitors will be under the watchful eyes of troops from Vader’s own 501st Dewback Ridge Garrison. Costumes are welcomed, but blasters are not permitted at this event. Those siding with Rebels should look for allies among members of the Bantha Canyon Base. For those undecided, there will be plenty of Mandalorian Mercs to mingle with, too.